Elisa was born in London, England, where she attained a B.Sc. (Ed) in Mathematics and Education. Elisa taught mathematics in high schools in London before making aliyah in 1998. Following her aliyah, Elisa studied at Pardes for two years, after which she started to teach Torah trope in the Summer Program. She now teaches Torah, Haftarah and Megillot trope in the Year Program, and for the last thirteen years has organized the annual Megillat Esther reading at Pardes. 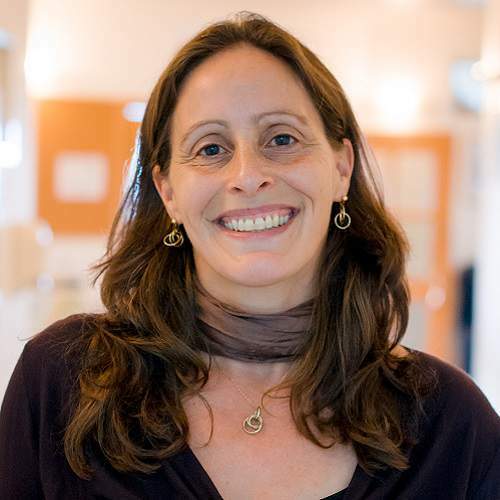 In addition, Elisa is a fifth grade teacher at the Anglican International School, where she has worked for the past thirteen years; and she has also been teaching Torah / Haftarah / Megillot to B’nei Mitzvah students for the past 20 years. Elisa lives in Jerusalem with her husband and three children, and enjoys singing with her A Capella group in her spare time.